• How to sell my Motorcycle? • Where to sell my motorcycle? • What is the best way to sell a motorcycle? • How to get top cash for motorcycles? There is a huge market out there for the used motorcycles as the industry has been booming over the years and the number of new bikes is rising by the day and thus giving way to the unexplored used motorcycle industry. 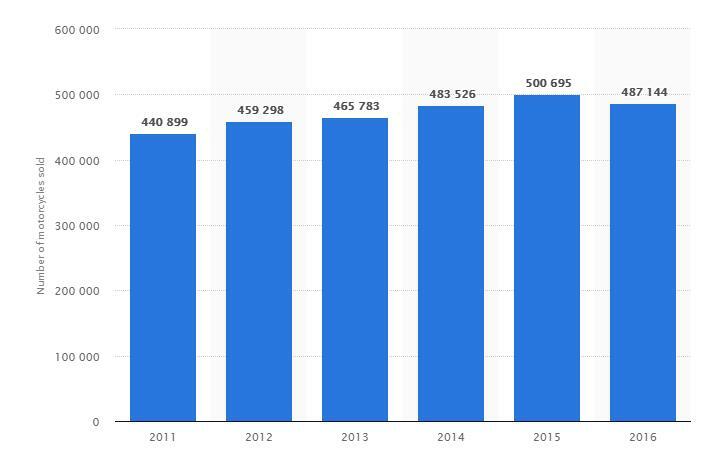 If you look at the statistics above for US market, you can understand how exponential is the data for the motorcycles that have come underused category over the period of 6 years. You might be thinking how hard could it be to “sell my motorcycle”, but get your facts correct as it can get really tricky. Here are some of the tips which will help you.  The specifications of your bike, such as engine, suspension, electronics, brakes etc.  Is the current model of your motorcycle still in production?  What is the current demand of the model of your motorcycle in the market?  What are other people offering for the same model of motorcycle that you have? Just to get an idea while setting a price for your own machine.  The current condition of your motorcycle.  Custom and aftermarket parts details as they can increase the value.  Looks: No one is going to like a dirty motorcycle. Make sure that while putting your motorcycle on sale you clean and wax your machine well so that it looks appealing. 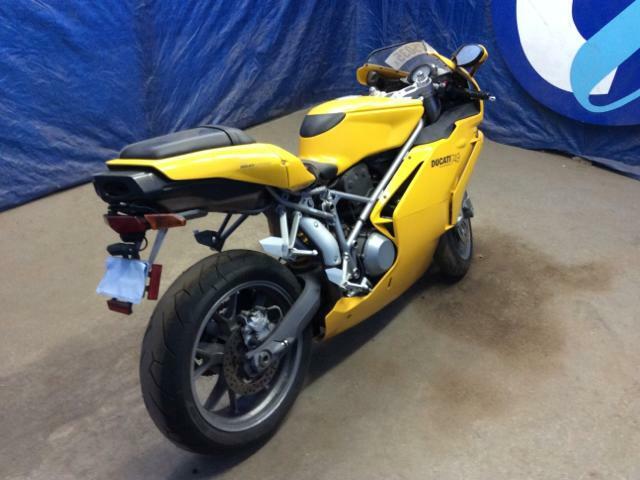 It will portray to the potential buyer that the bike has been well taken care of.  Photos: If you want to get a little fancier you can plan a photo shoot for your motorcycle. Detailed photos attract more buyers. They tend to give more detailed insight into your machine and also have a visual appeal. It shows that as a seller you are serious about what you are doing.  Prior Inspection: One of the most important points of all that you should do before thinking to sell a motorcycle is getting it checked/inspected by an experienced mechanic. You wouldn’t want to sell a piece of junk to someone who comes to you after a few months complaining. Make sure to keep in mind that well maintained bikes attract more prospective buyers and it’s not just looks but the complete machine as a whole.  Extra accessories: Most of the bike owners have an extra set of accessories installed on their motorcycles such as panniers, Tank bags, GPS devices, Top box etc. It’s not sure if these accessories would be wanted by the buyer. Make sure you remove them and present the stock bike. Later you can negotiate with the buyer and lure him to buy the extra accessories and you can get extra cash for that as well. 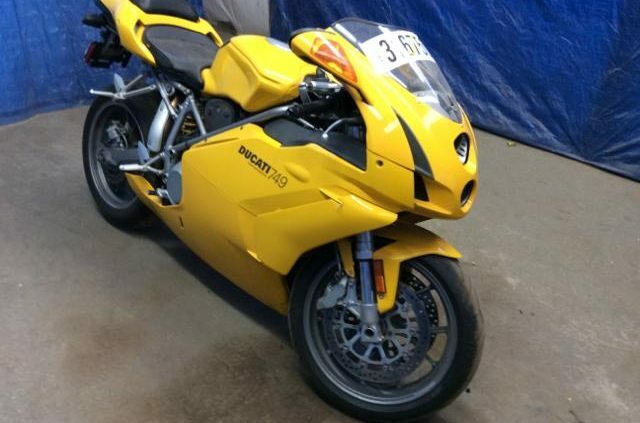  Online marketplace to sell Motorcycle for cash: Aside from the pain of directly dealing with potential buyers of your motorcycle, there are many online marketplaces that buy bikes. Make sure to contact a trusted dealer. The bike buyer is the perfect place that buys damaged, wrecked or used motorcycles all across the USA with 350 offices and has been around for 25 years in the business. They also provide free tow away services making it easier for you.  Promoting the positive aspects: There are lot aspects to a motorcycle that are unique. Make sure you have proper knowledge about them as it will help in promoting your bike to a prospect. It might not seem like an important point but when you will be going to deliver a sales pitch it will prove crucial.  Negotiating: After you have done it all and put all your points on the table for the prospective buyer, it is very important that you negotiate smartly. It is necessary that you know the expectation and requirements of the buyer and know how much money he has to splash. Try to dig in more to determine the points that can motivate him and then convey related things about your motorcycle to him.